Closing date for advertising in our next issue is August 31, 2017. 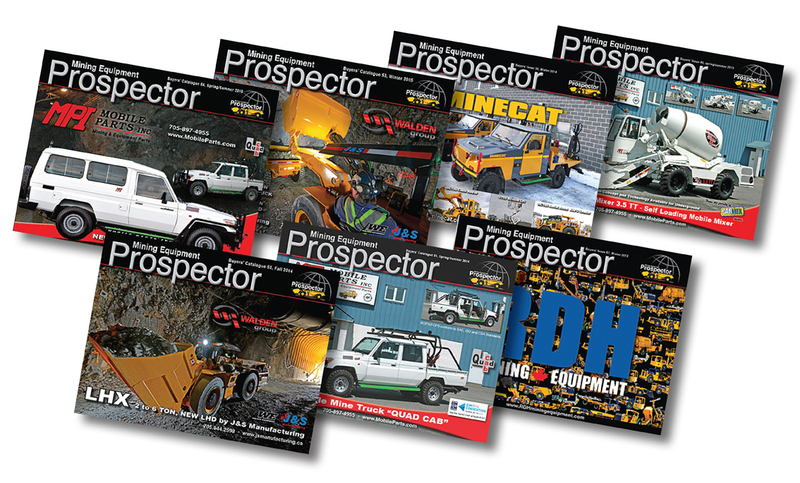 The Mining Equipment Prospector is a database that features on average over 2,400 pieces of Mining Equipment For Sale. This directory format catalogue is a great reference tool for Buyers. It's nature extends reader shelf life, resulting in more frequent visibility to our advertisers. We have seen buyers referring to publications two years after a specific ad was placed. We also send you Sales Leads from Buyers as we receive them. How many other publications send you direct sales leads? We are in the top 10 on most search engines... try it, search "Mining Equipment"
The Mining Equipment Prospector is distributed to a network of 2500 astute international mining contacts. We have numerous repeat advertisers, every issue for the last 21 years.. 60 issues to date! It will not sell, if nobody knows you have it! Advertising cut off date for our next issue.